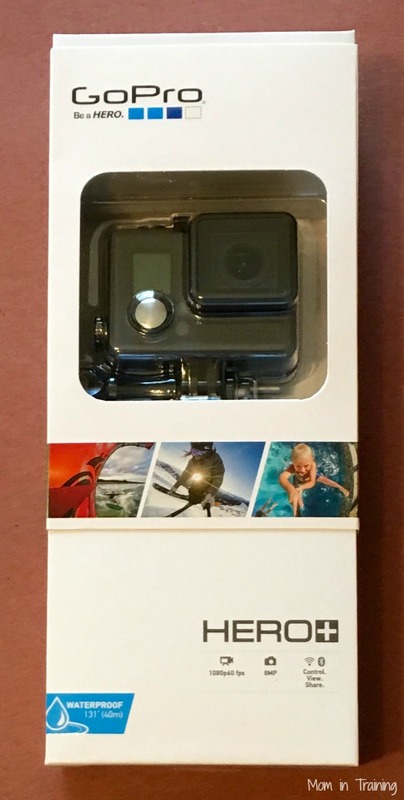 Stacy Tilton Reviews: There's still time to win them over with a GoPro for Christmas! There's still time to win them over with a GoPro for Christmas! For the size the HERO+ packs a whole lot of awesome features. We had actually been debating for quite some time about investing in a GoPro camera and just hadn't narrowed down yet which one we wanted to get. Thankfully I was blessed with the opportunity to review the HERO+ so now we have one to test out to the fullest. I've actually already ordered us a full kit of accessories to use with it. My husband and kids are hunters so they are pretty excited about wearing it to hopefully catch a deer in action. I'm most excited about using it to record my daughter's first jazz performance. With features like built-in Wi-Fi and Bluetooth® we can access all of the camera features from our phones without ever touching the camera. Heck we can even share photos and videos moments after they take place. It's even waterproof up to 131' so it's great for the boys to take fishing too. And because it's nice and small it doesn't take up much space for on the go use anytime and anywhere. The HERO+ debuted on Oct. 4 and is the perfect entry-level waterproof camera without lacking quality, capturing amazing photos and video. At $199.99, the HERO+ is Wi-Fi-enabled to allow post-as-you-go footage with the free GoPro App. The price has dropped on the HERO4 Session price to $299.99 — a sweeter price point for both new GoPro users and core users stoked to add a new camera to their lineup. This is the smallest, lightest camera GoPro offers. It’s waterproof without a housing and has a simple one-button control. The HERO4 Silver and Black editions round up the top tier of the collection, coming it at $399.99 and $499.99, respectively. There is no denying that both these cameras produce stunning footage and go above-and-beyond with performance settings.